H-fin Tubes have two steel discs,with fluorescent tubes symmetrically welded together to form fins(fins of butterfly piece)creating a shape that looks somewhat like the letter"H",creating an efficient energy saving, extension heating surface.H-fin Tubes also have a high rate of fusion welds and weld tensile strength.H-fin Tube is assembled with the H economizer, which has high efficiency,little resistance,less wear and light weight. Material carbon steel, alloy steel, stainless steel, non-ferrous alloys and nickel alloys. 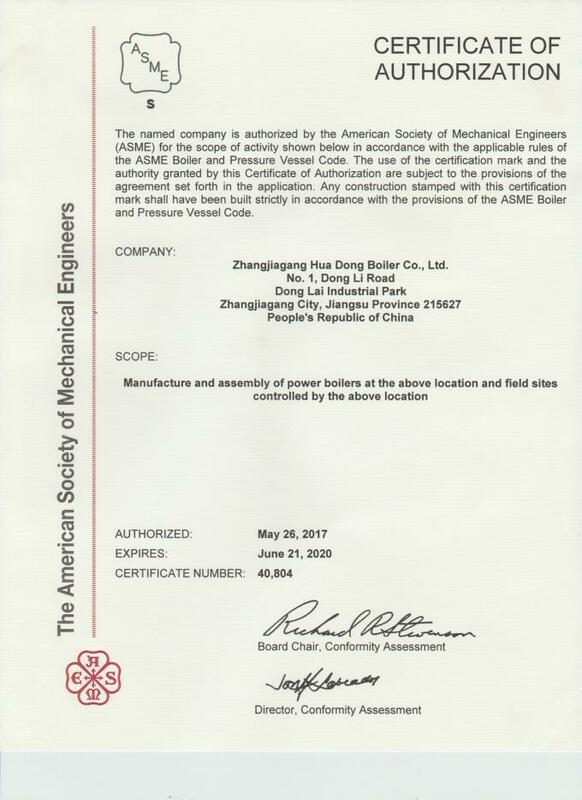 Application H economizer,H evaporator,H superheater,H air heater and etc. 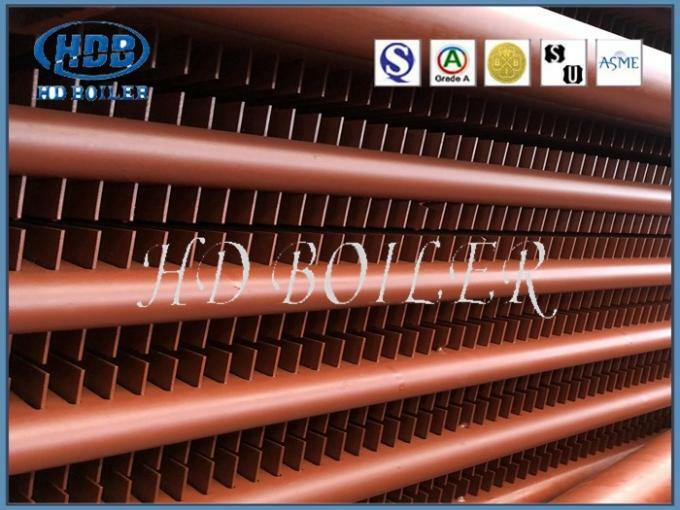 Our products can be modified according to our customers' needs and the situation.we design and manufacture safe,reliable and efficient H-fin tubes.HD BOILER has also completed stand-alone product quality assurance systems.Production of H-fin tubes are with high heat transfer efficiency, they have flue gas resistance and are designed for a small space. The two fins of the h-shaped fin tube are rectangular, almost square, and the side length is about twice that of the light tube.Belongs to the extended heating surface.The h-shaped fin tube adopts the flash resistance welding process, which has high weld fusion rate, high tensile strength and good thermal conductivity.The h-shaped fin tube can also be made into a double-tube "dual-h" fin tube, which is of good rigidity and can be applied in the case of longer pipe rows. The wear is mainly due to the impact and cutting effect of gray particles on the pipe. The wear is the most severe around the pipe at a level of 30 degrees. When S1/d=S2/d=2, the wear amount here is 3 times of the average value. Due to the change of air flow direction, the second row has the most severe wear. When S1/d=S2/d=2, the second row is twice as much as the first row wear, and the subsequent row wear is generally 30% to 40% higher than the first row. The arrangement of the first row is the same as the arrangement of the first row in the sequence.Under the same conditions, the maximum wear of the longitudinal tube bundle is 3-4 times less than that of the staggered tube bundle. The abrasion speed of the pipe is directly proportional to the non-uniformity coefficient of the flue gas velocity KV3.33, and is directly proportional to the non-uniformity coefficient of the fly ash concentration Ku. The h-shape finned tube economizer is arranged in sequence. The h-shaped fin divides the space into several small areas and has a uniform flow effect on the airflow. 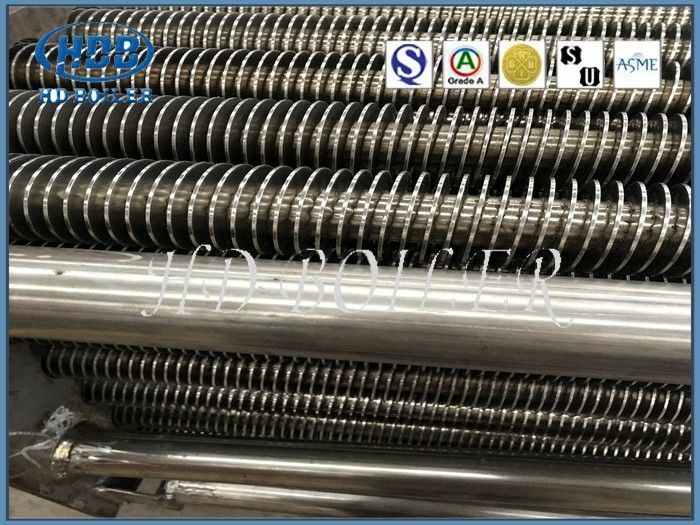 Compared with the optical tube economizer, spiral fin economizer and longitudinal fin economizer with staggered arrangement, the wear life is 3-4 times higher under other conditions. Flue gas side damper protects the bend part. Ash formation occurs on the pipe's back and windward sides.It is easy to scour the pipe by disarrangement, and less dust accumulates on the back.As for the pipe arrangement in sequence, due to the fact that the air flow is not easy to flush the back of the pipe, there is more ash accumulation in the pipe arrangement in sequence than in the wrong column. The h-type fin is welded on both sides of the pipe, which does not accumulate ash, while the air flow flows straight, the air flow direction does not change, and the fin does not accumulate ash. A gap of 4-10 is left in the middle of the h-type fin, which can guide the air flow to sweep the pipe fin to accumulate dust. As the spiral Angle of the fin guides the flow direction, the ash accumulation of the fin tube is more serious, and the economizer which does not form loose ash cannot be used.Field operation shows that the h-shaped fin tube does not accumulate ash, while the spiral fin is seriously. The longitudinal fin tube is formed by the flow of air along the fin as the fin is welded on the surface and back of the accumulated ash.Some areas are prone to dust accumulation. The h-shaped fin, which forms a straight channel on both sides, has the best blowing effect. The pipe set is much compact and reduces the height of tail smoke well. The total weight is greatly reduced and the load of the suspension system is reduced. Reduce cost of economizer and integral boiler. Reduce the operating and investment cost of induced fan. 5. Reduce welding joint and improve reliability.